This rosette was made at a children’s workshop held at the Museum of Edinburgh last Saturday. 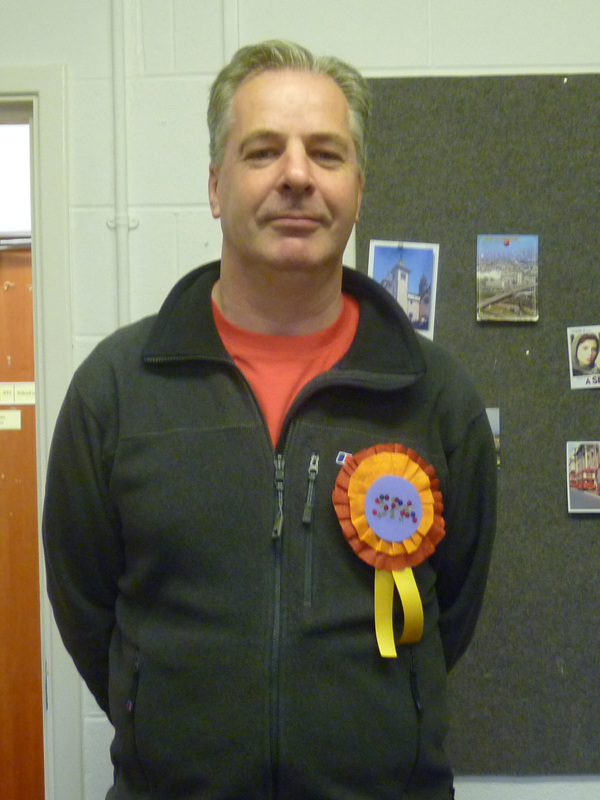 Those attending made campaigining badges, rosettes and banners like the one featured in the photograph above. This workshop is one of the events organised by SPA to accompany the Democracy for Scotland exhibition which is currently on display at the Museum of Edinburgh.